The “firm 40” is a practice in which employees focus on work exclusively when at the office—but when it’s quitting time, the job stays at the office. After-hours work is actually forbidden. Employees give their employers an honest 40 hours per week without checking social media or conducting Internet shopping, and the rest of the week is theirs. The results, adherents say, is more efficient and productive workers. Such a set-up is increasingly rare in a world where many workers never fully leave work as a result of technology. While “work-life integration” has allowed employees to leave work to watch the kids’ soccer game as long as the work gets done on time, it also means that employees are tethered to their smart phones well into the night. The benefits of the 40-hour workweek can be far-reaching. It allows workers to recover from stressful days. It can be a big draw to employees looking for life-work balance. 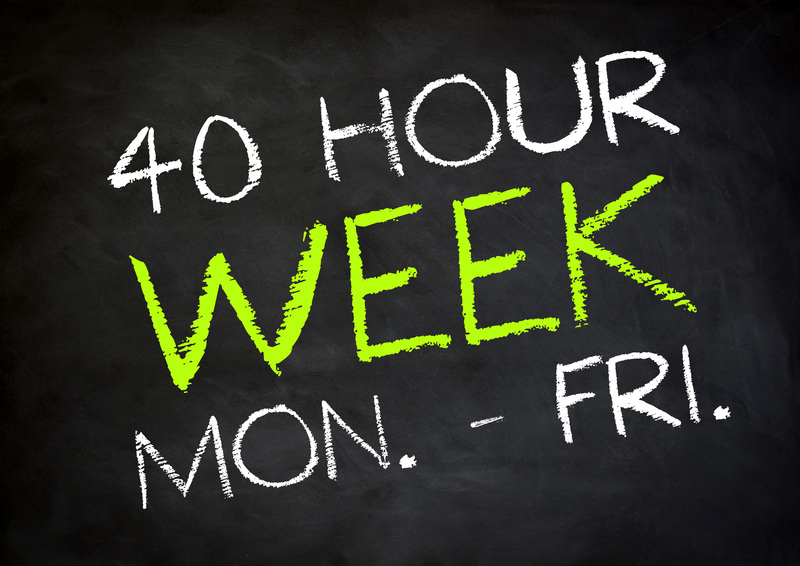 In fact, some recruiters even advertise “an actual 40-hour workweek” as incentive to apply. Some employees like the idea so much they are willing to take a pay cut. However, some firms that subscribe to the Firm 40 have had to penalize employees who cannot stick to the rule, and in rare cases have actually fired employees for overworking. Would you be attracted to a job that boasted a 40-hour workweek even if you had to vow to not use social media, shop online, or conduct other non-work related activities? Why would employers want their staffs to work fewer hours? What reasons might employers have to allow their staffs to engage in personal activities during the workday? This entry was posted in 3. News You Can Use on January 12, 2016 by bizcombuzz.